BUSINESS IDEAS Small Business Loan,Kvic online Pmegp. Small Business Loan,Kvic online Pmegp. Small Business Loans Online Loans - In today's world, everyone wants to start a small startup rather than expecting someone's job. Small Business Loan, Kvic online Pmegp. Even after having a good idea for many people, they can not start their business for financial reasons. But today we are going to tell you here about the schemes being run by the government to start a Small Business. In fact, the central government is giving loan up to Rs.25 lakh under the Prime Minister Employment Generation Program (PMEGP). Under PMEGP scheme, the loan can be taken in two ways, the first is the service sector in which loan up to Rs 15 lakh can be obtained. The second is the manufacturing sector which can be taken up to Rs 25 lakh. Under this Govt. 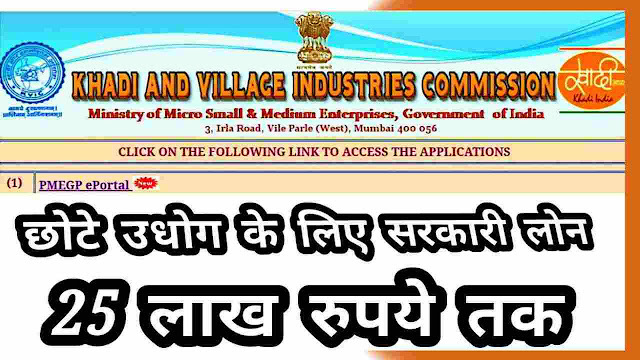 scheme, any Individual Entrepreneur, Institution, Cooperative Society, Self Help Group, and Trust can also apply for loans. Phone se loan,Online Loan Personal Loan. Tissue Paper Making Machine.Tissue Paper Business. The best thing about the PMEGP scheme is that it also provides a subsidy of 15 to 35 percent. This is a Small Business Loan scheme - let us know that there are many schemes which are being run by the government, but these schemes are not able to benefit people. Many people do not know many plans. To take advantage of these schemes it is also necessary that people visit their village panchayat, tehsil office, district office etc. from time to time and keep on getting information. Visiting this website can apply for a loan.